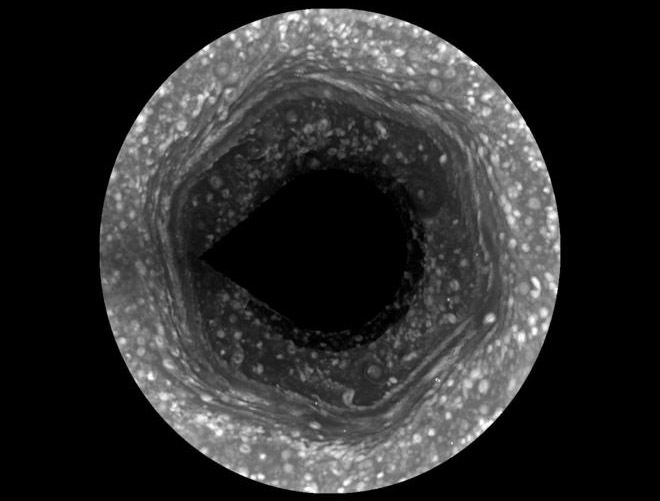 Wired has a story about the hexagonal storm around Saturn’s north pole. I love it. Things like this, the methane that comes and goes on Mars, the disequilibrium in Venus’s atmosphere, and transient lunar phenomena, are useful reminders that the other worlds of the solar system are, in fact, worlds. Our plumbing of the mysteries of these worlds, even for so comforting and familiar an object as the moon, is not even really started. There are plenty of physical processes here on Earth that are not well understood, so we should feel pride, but no comfort, that we have sent a handful of probes and gotten a little dust on the boots of our astronauts and the wheels of our rovers. Just think how much we’ll know after a geologist has spent as much time on Mars as Spirit and Opportunity. On one hand, our knowledge then will dwarf our knowledge now; on the other, our exploration of Mars will then be just beginning in earnest. In Cosmos, Carl Sagan said, “How lucky we are to live in this time, the first moment in human history when we are, in fact, visiting other worlds.” I’m on board with that. …here are some pretty pictures. 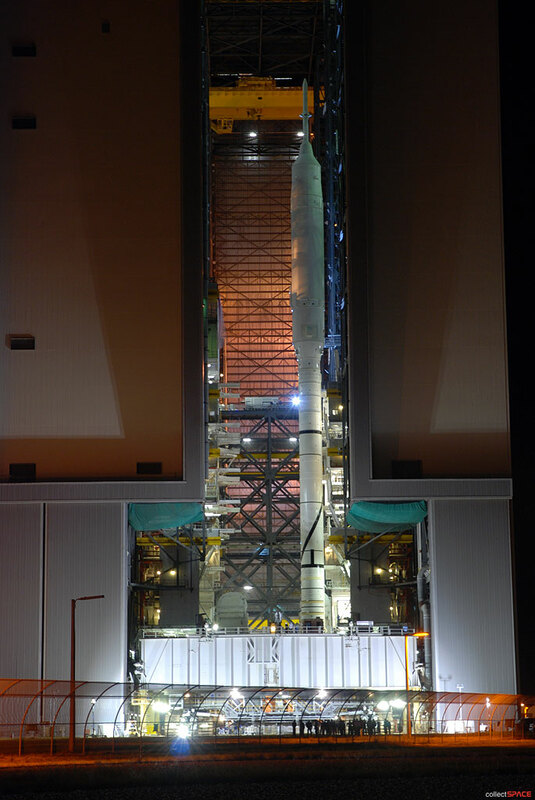 First batch: the Ares 1-X test vehicle rolled out of the Vehicle Assembly Building and down to the pad. If all goes well, it will be lifting off in about a week. This is the first launch in the Constellation program which is slated to replace the shuttle. 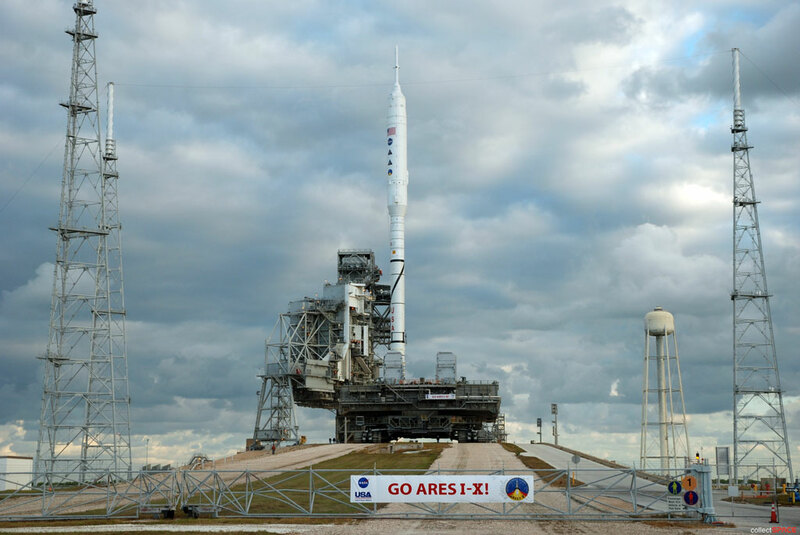 In what should make a iconic transitional image, Ares 1-X is on Launch Pad 39B at the Cape while Atlantis is on Pad 39A, awaiting its Nov. 16 launch to the International Space Station. I haven’t found any photos so far that show both pads, just lots of photos of the Ares 1-X. 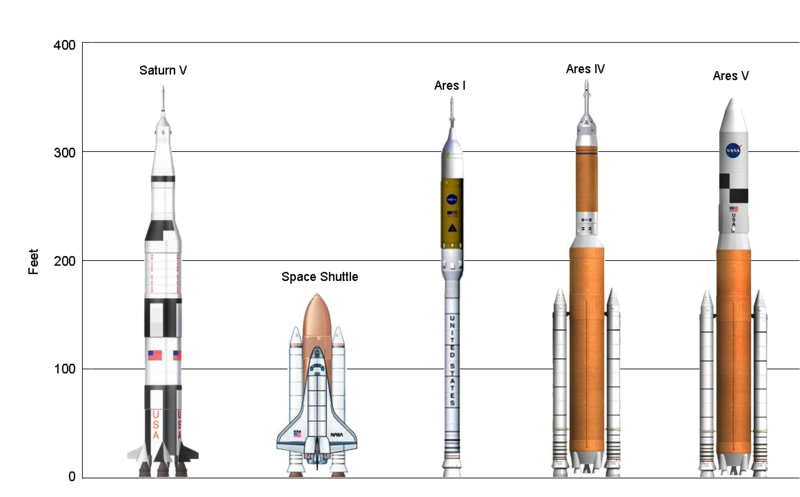 * Real boffins will tell you that the thing that launched Skylab was not a Saturn V but the one and only Saturn INT-21, but c’mon, it’s clearly a Saturn V with Skylab on top. Anyway, check out the cool pictures and keep your fingers crossed next week. 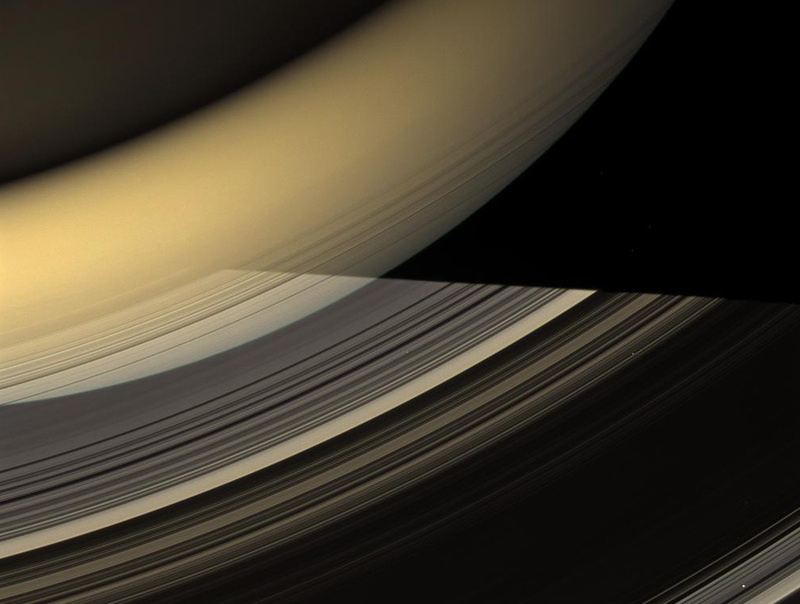 Second batch: apparently Saturn is pretty, or something. Definitely pretty cool. One more week of teaching. Keep soakin’ up them photons. You are currently browsing the archives for the Saturn category.